(Seychelles News Agency) - Sailor Rodney Govinden will lead the way as 10 Seychellois athletes go into competition at the Olympic Games in Brazil from August 5-21. 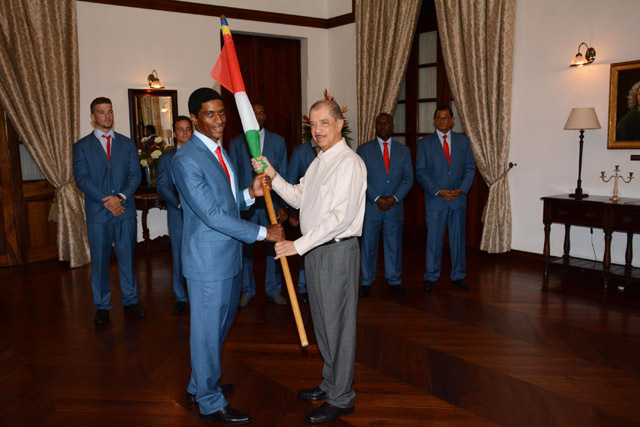 On Tuesday President James Michel handed to Govinden the Seychelles flag he will carry during the Rio 2016 opening ceremony, calling on the athletes to give their best and fly the country’s flag high and to maybe even return with an Olympic medal. 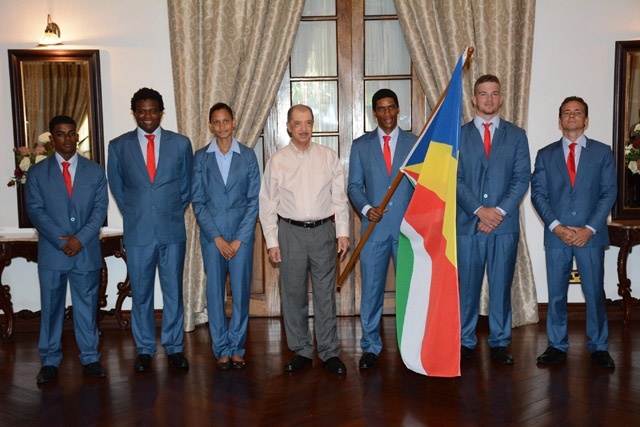 Govinden, also the reigning Seychellois sportsman of the year, was among six of the 10 athletes who attended a sending off ceremony at State House. The sailor who booked his spot to the Olympics in December said he felt honoured and happy to be flag bearer and that he was looking forward to making the country proud. Seychellois athletes will participate in six events: athletics, boxing, judo, swimming, sailing and weightlifting. The event with the most participants from Seychelles, an archipelago in the western Indian Ocean, is sailing. Aside of Govinden, in the standard laser category, two other sailors made the cut: Jean-Marc Gardette in RSX windsurfing and Allan Julie in the Finn category. The other Olympic athletes from Seychelles are boxer Andrique Allisop, judoka Dominique Dugasse, high-jumper Lissa Labiche, sprinter Ned Azemia, swimmers Alexus Laird and Adam Viktora and weightlifter Rick Confiance. Aside from Julie -- participating for the fifth time -- and Dugasse -- the second time -- the remaining Seychelles athletes are making their debut at the Olympic Games. 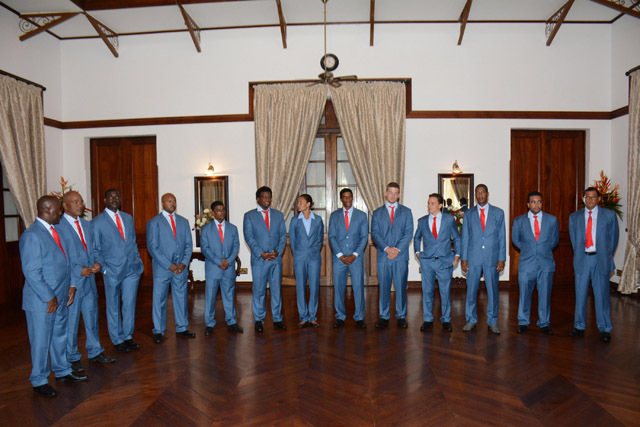 Most of the Seychelles' 23-member delegation is due to leave on July 31, except for the sailors who will be leaving on July 23 as they need to be allocated their equipment and get used to the venue. With only a few weeks remaining, the athletes are making their last preparations. “Some athletes are training locally, and some are on overseas training, adding the final touch so that they can achieve their personal best at these Games,” says Alcindor. The Principal Secretary for Sports Denis Rose confirmed to SNA that the government is pledging 1 million, 750,000 and 500,000 rupees [$77,000, $58,000 and $38,000] for any athlete who brings back a gold, silver or bronze medal respectively. Govinden told SNA this serves as an additional motivation pushing them to give their very best at the international competition. “The moral is high and we are almost ready. We are now entering the final weeks of preparation ahead of the competition and we are getting ready to give our best,” he said to SNA. Seychelles, a member of the International Olympic Committee since 1979, has participated in the Olympic Games since 1980, missing only the 1988 edition. To date, the nation has not won an Olympic medal.